Uniquely designed for first-year Spartans, Michigan State University offers students the opportunity to explore intriguing topics in small, active learning environments outside of the United States while learning what college life is like BEFORE arriving on campus. 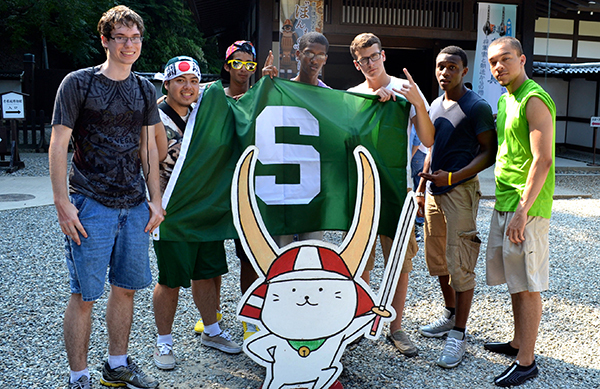 First-Year Seminars Abroad (FSA) are led by MSU faculty and other academic staff the summer before a student begins at MSU. Students who participate in these programs enhance their ability to understand and interact with diverse cultures, consider global issues from different perspectives, and navigate complex situations with confidence. Recent research also suggests that FSA students are more likely to have a higher first-year GPA, less likely to drop-out of MSU, and more likely to graduate in four years than non-participants. For these reasons, MSU believes that the FSA program offers students an excellent learning and adjustment opportunity. 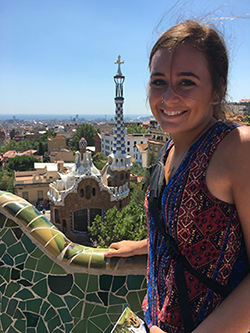 Your support could help an incoming first-year MSU student cover the costs associated with a First-Year Seminar Abroad. To participate, students are responsible for paying a program fee (airfare, lodging, meals, etc. ), tuition for three academic credits, and additional costs that may include getting their first passport or having some extra spending money. FSA destinations for 2019 include Germany, Greece, Ireland, Japan, New Zealand, and Spain. The Office for Education Abroad is committed to engaging the campus community in a collective partnership to provide valuable, high-quality and academically-sound education abroad programming that expands opportunities for where, when, and how students learn. Our mission is to ensure that all students at Michigan State University, irrespective of demographic background, academic discipline, or financial need, actively engage in international study that advances global learning and disciplinary scholarship. The Office of the Associate Provost for Undergraduate Education (APUE) and Dean of Undergraduate Studies oversees undergraduate academic policies and facilitates institutional-wide initiatives focused on enhancing undergraduate learning. We are involved in everything from the orientation and welcome of first-year students to the enhancement and oversight of selected academic programs and co-curricular initiatives. Learn more about what we do, what we offer, and what we advance as important to the undergraduate experience. *Make check payable to Michigan State University and write “Appeal 19OOPCF1ISPFSA” in the note section.